The Lord has been speaking to me about the condition of our country and its leaders. Forty years ago, the Lord spoke to me saying, “Sandy, My people perish from a lack of knowledge.” Hosea 4:6 My response was. “Lord, give me that knowledge.” My journey into the Word of God began. I spent many hours a day in His Word searching and seeking the Truth. My heart and mind were open. I had no previous doctrine to confuse me since I wasn’t raised up in the Church. The Godhead would be my teacher and revealer of Truth. You may wonder why I say “Godhead” instead of God. It is because the Godhead is who teaches, trains and equips us. God, Jesus and the Holy Spirit work in complete unity and agreement as they did at creation. Therefore, they work in perfect unity in teaching, training and equipping believers to do their Kingdom work. If the trinity worked in unity at creation, they will also work in unity in the “new creatures” in Christ. There is no lesser or greater in the Godhead. They are equal (all holy with the same authority and power) and work in absolute harmony and agreement. God wills a thing, Jesus words it as the Word of God (brings it to life), and the Holy Spirit brings God’s will to fruition with the Father and the Son. The Father and Son have the Holy Spirit in fullness because they are holy. The following teaching on the first and second King of Israel is to illustrate the difference between a king chosen by God and one chosen by the people. There is a vast difference. The king chosen by God is prepared by God for the position. The king chosen by God's people was put into position without God’s preparation. People can get in the way of God's plan. Last week, I touched upon King David and King Saul as an example of a leader of God’s choice vs a leader chosen by the people. God’s people didn’t want to wait for God to place His chosen king, David, on the throne. Instead they chose Saul ahead of God. Saul was handsome and taller than all the other men, so God’s people thought he would be a strong, warrior leader who would defeat their enemies. The people looked at the outward appearance rather than the heart. Most believers know that God looks at the heart, not the outward appearance. Jesus said this in Matthew 15:8. Instead of waiting upon God, the Israelites insisted on having a king! God had placed judges over His people at this point. Samuel was one of God’s judges who was ruling over God’s people at this time. Samuel was also God’s prophet and a priest. As I have said in many of my teachings, God used the godly men in scripture to paint a picture of His Son Jesus. God uses the “natural” to illustrate a “spiritual” truth. Samuel is a type and shadow of Christ as God’s prophet, priest and judge (Ruler). God’s people went to Samuel to demand a king. This displeased Samuel. Samuel had been a good, godly judge over God’s people, so I am sure he was dismayed that God’s people wanted to replace him with a king. Samuel prayed to the Lord, and the Lord told him, “listen to all that the people are saying to you; it is not you they have rejected, but they rejected Me as their King. Listen to them; but warn them solemnly and let them know what their choice of king who will reign over them will do.” 1 Samuel 1:7, 9 Samuel from a young age has been a dedicated, faithful believer in God which is why God chose him to lead His people. 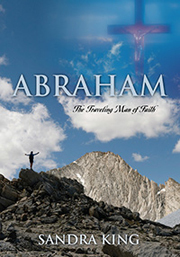 God said that the action of His people was a rejection of God, not Samuel because he is God’s chosen one. God had always been the King of the Jews. Now they want an earthly one! Samuel obeyed the Lord and warned God’s people of what their choice of king would do to them. Samuel lists 7 things. Each of the 7 begin with “He will take.” (see 1 Samuel 8:11-18) The one who “takes” is the devil. God likes to bless, multiply and bring victory. The devil comes to steal, kill and destroy. In His love and mercy, God wanted to warn those He loves – His people – about the consequences of their choice of Saul as their king. Despite God’s warning through His prophet and judge, Samuel, God’s people refused to listen to Samuel’s warnings and said, “No!” We want a king over us. Then we will be like all the other nations, with a king to lead us and to go out before us and fight our battles.” Vv 19-20. They were stubborn in their desire for a king. Instead of being set apart for God, the Israelites wanted to be like all the other nations. God would give His people their choice. Because the Israelites followed their own fleshly way instead of God’s, “all the days of Saul there was bitter war with the Philistines.” V52 There was no peace. Saul proved to be the wrong choice. He disobeyed the Lord’s command to totally destroy the Amalekites and everything that belonged to them “including the men, women, children and infants, the cattle and sheep, camels and donkeys.” In direct disobedience to God, Saul spared the life of Agag, the king of the Amalekites, and saved some of their best animals and everything that was good in Saul’s eyes for himself. Because of Saul’s disobedience to God’s direct instruction, God told Samuel to go and anoint His chosen one, David, to eventually rule over His people. David was young and didn’t look like a warrior, but he became Israel’s greatest warrior and King. This did not happen overnight! David went through many trials and tribulations as God prepared him to rule and reign over all Israel. David began as a shepherd in his father’s field tending his father’s sheep. While doing so, David killed the lions and bears that came to steal and kill the sheep. David was being prepared by God for larger battles. God wanted to see David’s heart and his faith and trust in Him. In tending his father’s sheep, God saw that David cared about and protected his father’s sheep, therefore he would care for and protect His people (God’s sheep). David's faith in God has grown. Now he would come against the Philistine Goliath who has been tormenting the Israelites and putting tremendous fear in them. Again David would show his faith in and dedication to the Lord and His people when he comes against “the champion of the Philistines” -- Goliath. David’s motivation was his love for God and for God’s people. He will fearlessly confront and defeat Goliath. The Philistines were Israel’s enemy. God is shaping and forming David for the position God has called him to eventually be – King of Israel. David went on to become a conquering King and regained most of the land of Israel back to God’s people. He was indeed a mighty warrior and conqueror! David is described as “a man after God’s own heart.” Acts 13:22: “And when He had removed him (Saul), He raised up for them David as king, to whom also He gave testimony and said, “I have found David, the son of Jessie, “a man after My own heart who will do all My will.” If you do a study on David and “heart,” you will see that God was very interested in David’s heart. He is also interested in our hearts. “Out of the abundance of the heart, the mouth speaks.” Matthew 12:34 What comes out a person’s mouth reflects his or her heart. Even Jesus said to the Pharisees in Matthew 15:7-9, Isaiah was right when he prophesied about you: “These people honor Me with their lips, but their hearts are far from me. They worship Me in vain; their teachings are but rules taught by men.” Jesus is rebuking the Pharisees who were teachers of the Law and leaders over some of God’s people in this scripture. * became a mighty warrior – a conquering king with an earthly kingdom. The life of David is a type and shadow of Jesus. Jesus, however is far greater than David. David was an imperfect man because of his sins, but most of the time, he was committed to obedience and faithfulness to the Lord and caring for His people. When David sinned, he came humbly back to the Lord seeking His forgiveness. It is important for Christians to be cautious and aware of a person’s character before making him or her leader of a country. Godly leaders will bring blessing and victory, but ungodly leaders will bring division and disgrace to a country. Before God will place anyone as leader over His people, He must know their heart and character. Those who believe in the the Father, Son and Holy Spirit should do the same.